Brenda Richie shared this picture of herself and Nicole via her twitter account. 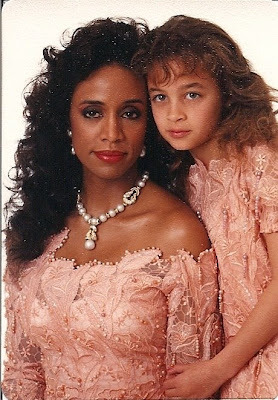 Such a lovely Mom & Daughter picture & totally 80's! They look cute in their matching peach dresses.